Trusts are often a highly beneficial tool to use as you put together your estate plan in Statesville, NC. A trust is an arrangement that gives a third party, otherwise known as a trustee, the right to hold certain assets on behalf of a beneficiary. There are many different ways trusts can be arranged, and these arrangements can specify exactly how assets will be passed on to beneficiaries. I, W. Sloan Goforth, Attorney at Law, often recommend trusts to my clients from in and around Statesville, North Carolina when they plan their estate because these arrangements are usually able to avoid probate. As a result, the assets in a trust can generally be transferred to beneficiaries faster than if they had been transferred with the use of a will. In addition, if the arrangement is an irrevocable trust, it may not be considered as part of the taxable estate, which may result in fewer estate taxes. When you come to my office to discuss your estate planning needs, I will help you determine which type of trust you should consider based on your specific needs and situation. I value providing completely individualized legal advice to my clients and assure you that I will only recommend what I believe to be in your best interests during all aspects of the estate planning process. If you would like to know more about trusts, how they work, and why they are a beneficial estate planning tool, please reach out to me today to set up your free consultation. I look forward to hearing from you and to providing you with excellent legal service. 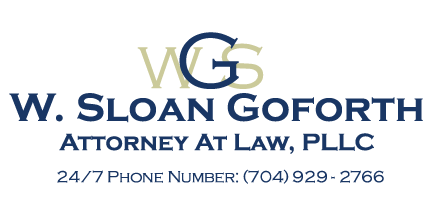 At the office of W. Sloan Goforth, Attorney at Law, we can help with preparing trusts for residents of Statesville, Troutman, Taylorsville, Mocksville, Mooresville, Hickory, Iredell County, Alexander County, and Davie County, North Carolina.